On July 22, 1962, the Mariner I spacecraft was launched, with intent to study the planet Venus. The steering on the spacecraft’s booster rocket was controlled from the ground. A problem in the booster’s receiver, lead to an onboard computer taking over. A transcription error had lead to a hyphen not being added to the computer code. The error lead to serious over correction in the spacecraft’s steering. To prevent the craft from crashing into Atlantic shipping lanes (or possibly onto inhabited land), the range officer detonated the craft. The first half of Jaguar Knights is fairly dialogue heavy. I remembered wondering then, why I wasn’t getting bored while reading the story. I by no means consider dialogue an inherently boring aspect of a story. It is a matter of personal taste that stories consisting largely of conversation, some times leave me wondering where the actual plot events, action and narrative are. Not so with Jaguar Knights though. In fact I got wondering to such an extent why I wasn’t finding this dialogue heavy story boring, that it began distracting me from the story itself. So I put the novel aside for a few days. When I came back to the novel, I realized the answer. 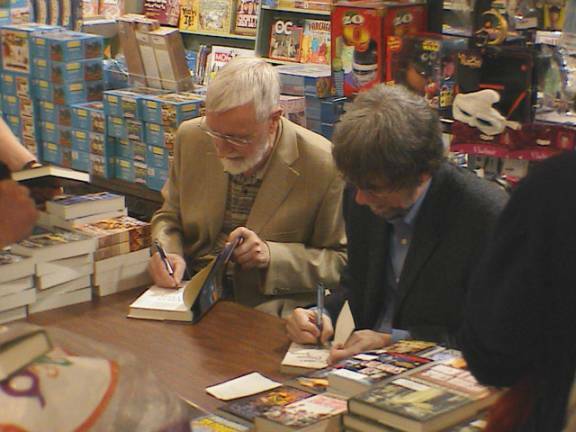 Authors often impart something of themselves into some of their characters. In this novel, Dave Duncan has imparted a very interesting part of himself into some of the characters. He’s made them good storytellers. The dialogue heavy story is interesting, because the dialogue is interesting. Jaguar Knights is part of the King’s Blades series. I can’t give a comparison of this novel to the previous ones in the series, as I haven’t read them. I can say that this story stands well on it’s own, even as it is apparent that there is a great deal of history and back-story. Members of the King’s Blades are attacked and, in spite of the Blades' magical enhancements and training, one of the charges they’re bonded to is taken from them. Much of the first half of the book is people’s analysis of the attack; people traveling to and examining the site. The examination of the battle scene included the application of incantations as well as some interesting pre-scientific age forensic analysis. The second half of the story takes us to Central America, showing us a fantastic portrayal of Montezuman Eagle Knights and Jaguar Knights, and the complex necromantic society they live in. I have the impression that Dave Duncan enjoys examining historical and fantastic worlds in his world, and considering how little things could cause significant changes in those worlds. One example was a European character in Jaguar Knights teaching some of the Central Americans how to make sail boats capable of tacking into the wind, by having them create a catamaran from two war canoes, and adding a keel. 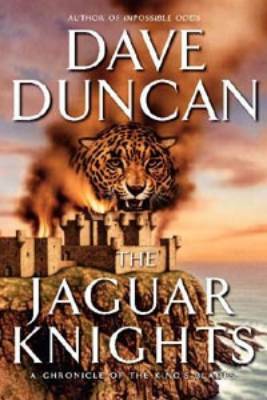 I checked, and it turns out that Jaguar Knights is in fact Dave Duncan’s thirty-fifth novel, not his thirty-second. The Mariner II spacecraft managed a flyby of Venus on December 14, 1962.